The East Cannon River Trail is the only issue on the Northfield City Council’s special meeting agenda (although there are multiple actions to be taken) tomorrow, Tuesday, April 26 2016 (here’s the packet). While there are multiple pieces in the project puzzle, approving the trail should be easy – no-brainer easy – because building this trail segment is so richly supported by prior planning going back more than a decade. 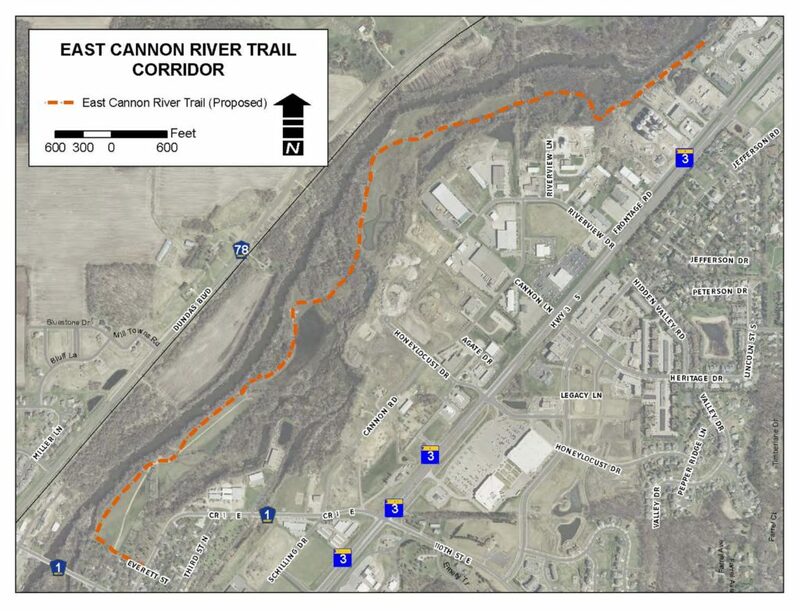 This piece of trail specifically or more general guidance for improving access to the Cannon River and increasing recreational opportunities along it is contained in all Northfield’s major planning documents. The Council can take a big step toward implementing the City’s policy vision by approving this trail. Right now, there is a section of paved trail beginning at the Peggy Prowe Pedestrian Bridge extending south toward Dundas, but the trail stops behind the commercial development. There have been wetland issues (and the Army Corps of Engineers) to manage (and wetland credits are also on the agenda tomorrow) as well as inter-jurisdictional negotiation (Dundas, DNR). Now, however, the Northfield city staff have lined up all the ducks for the Council to approve, culminating in approving a resolution accepting bids and awarding the contract for the East Cannon River Trail Project. Comprehensive Plan: The Comp Plan highlights the importance of the Cannon River and applauds efforts “to better integrate the river into the community; its scenic beauty and recreational possibilities afford the possibility for further integration of the river into the community. 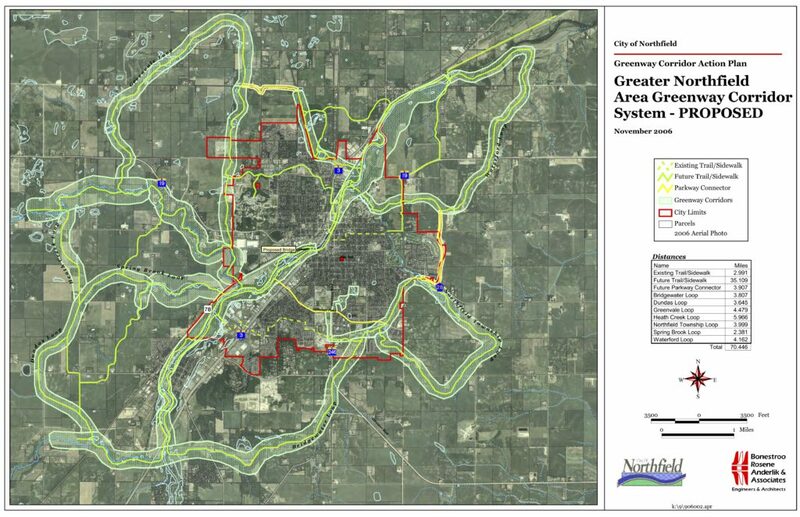 The Greater Northfield Area Greenway System Action Plan is an important resource in helping with this integration.” Land Use, Community Identify and Economic Develop objectives all identify the Cannon River as critical and expanding access to the river, linking to downtown, and connecting parks, places and people. 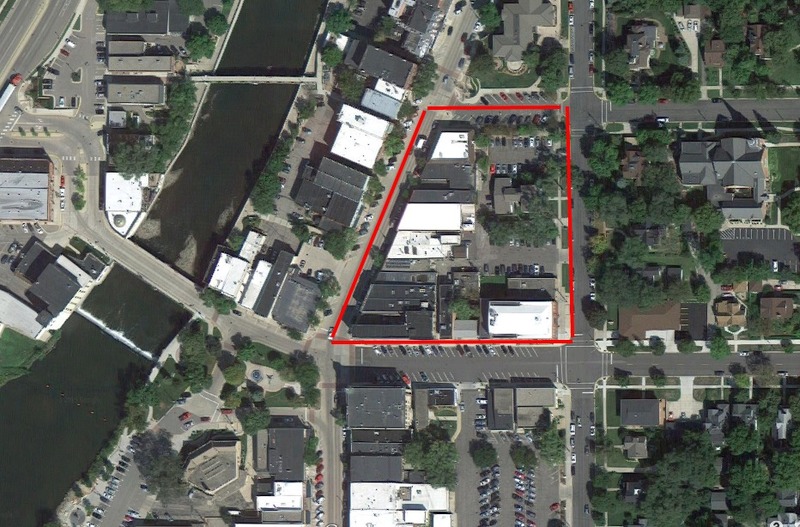 The Economic Development Plan makes activating and leveraging the Cannon River one of three key findings for economic success; Northfield’s rich sense of place is considered critical. 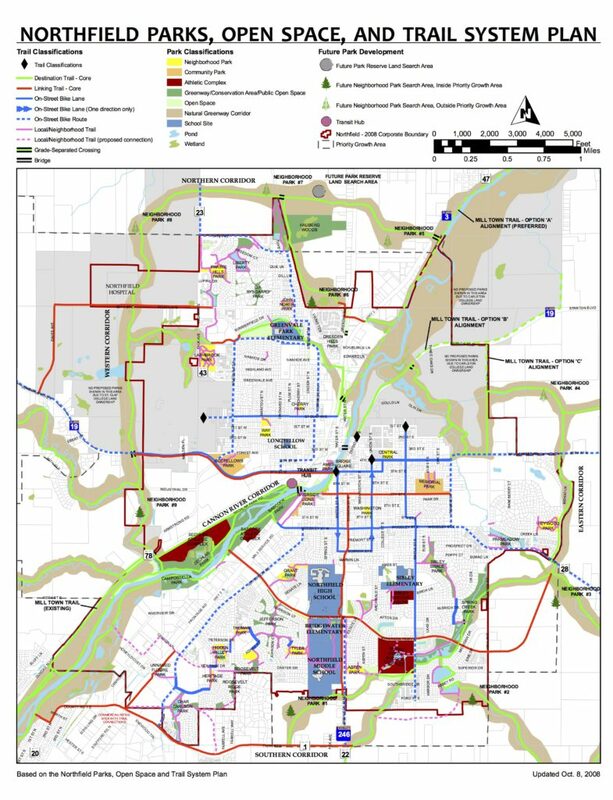 And, the Transportation Plan contains objectives to trail connectivity between areas of the City including current bike and pedestrian route deficiencies (current as of 2008) such as the east side trail dead ending, lack of trail integration into overall design, and challenges linking downtown with the trail system. Park, Open Space, and Trail System Plan: The plan identifies this trail connection as a Destination Trail (which neighborhood trails and linking trails connect to the rest of Northfield). Individual park plans for Babcock, Riverside Lions Park, and Compostella Park also note development of an east river trail should be integrated into master planning for these currently underutilized parks. 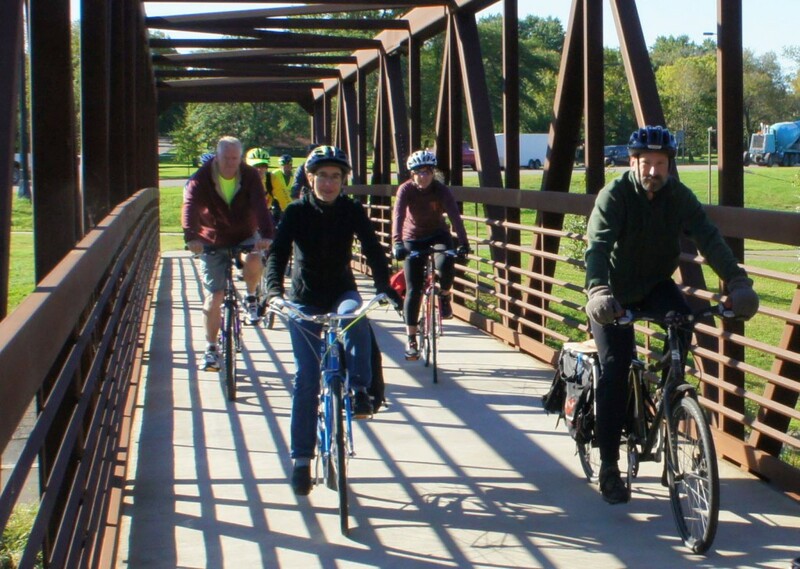 Gateway Corridor Improvement Plan: This plan to improve gateways into Northfield incorporated the Greenway Corridor and other plans to highlight trail connections and other green infrastructure. Almost half of the approximately $1 million trail construction cost (with bids substantially less than engineering estimates) is from grants with the remainder coming from the general fund (about $200,000), TIF funding (about $175,000), and the City of Dundas (about $93,000). I’m not a big fan of grants, believing too often grants are sought to fund projects the City would not otherwise undertake. In this case, however, the plan to build the trail is well established and grant funding has been awarded to complete this well-documented, long-planned project. The City will need to build maintenance of the trail into the budget and CIP in coming years, but the costs relative to the wide benefits of this long-planned trail segment appear very reasonable. The question of trail surface material must also be answered. 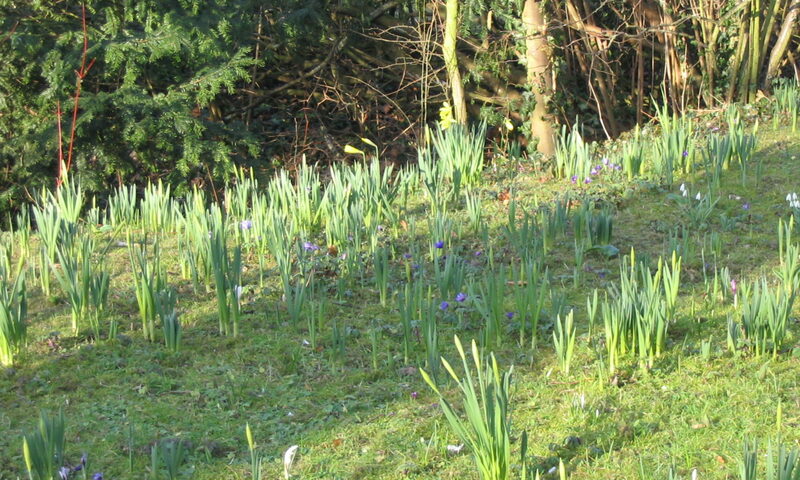 In this area prone to flooding, the choice of a paved rather than crushed rock surface would provide a high-quality surface for more users with better durability. The plans for this trail emphasize its importance for access and connectivity; building for residents with limited mobility, children, skateboards, walkers, runners, and people on bikes; choosing the bituminous option provides bigger benefits to more people. I hope the Council will take action to carry out so many of Northfield’s plans by approving this trail project. The tale continues…after the City Council authorized rebidding the TIGER trail project in September, 4 bids were received. All bids exceeded projected costs and the low bid is $828,465 over. Although it took two tries to get the bids and much procedural grandstanding, let’s catch our collective breath. TIGER supporters would probably agree that Trunk Highway 3 is a 4 lane “traffic sewer” through the middle of Northfield affecting land use, deterring bicycle and pedestrian crossing, and dividing the east and west sides of town. Since this is also the picture drawn by the Council-adopted Comprehensive Plan (and other plans and policies I get tired of listing for those Council members who ignorantly or willfully avoid them), their understanding is well-grounded in the city’s public policy. The City has been implementing the policies by adopting more detailed policies (like the Complete Streets policy and Safe Routes to School Plan) and following through on smaller improvements such as filling gaps in the sidewalk network (despite the failure on Maple Street) in annual street projects. But, TH3 remains a big obstacle. The 2009 Multimodal Integration Study (which involved collaboration among City staff, elected officials, various City boards and business owners) identified several grade-separated “concepts” which could provide better access across TH3/TH19 and subsequently form the basis of a grant application. The TIGER grant application selected one of these and the Council approved the application…and so on. Costs of retrofitting: This project builds capacity for non-motorized transportation which has not only been excluded from transportation planning until quite recently but made substantially more difficult by projects like the Highway 3 expansion. What amount is reasonable to remedy a problem created by a mono-modal transportation project (and how can gradual improvement be added back into the transportation planning and budgeting in the future)? When answering this question, try to identify the ways in which government subsidizes automobile travel. Cost and value of completion vs. cancellation: The state and federal government are spending money on this project; in addition to the financial contribution, what value is there in completing this project on time, honoring our commitment, and developing good working relationships with the agencies? When answering this question, map how transportation dollars are allocated to local government from other levels of government. How does this project link to other bicycle/pedestrian facilities? 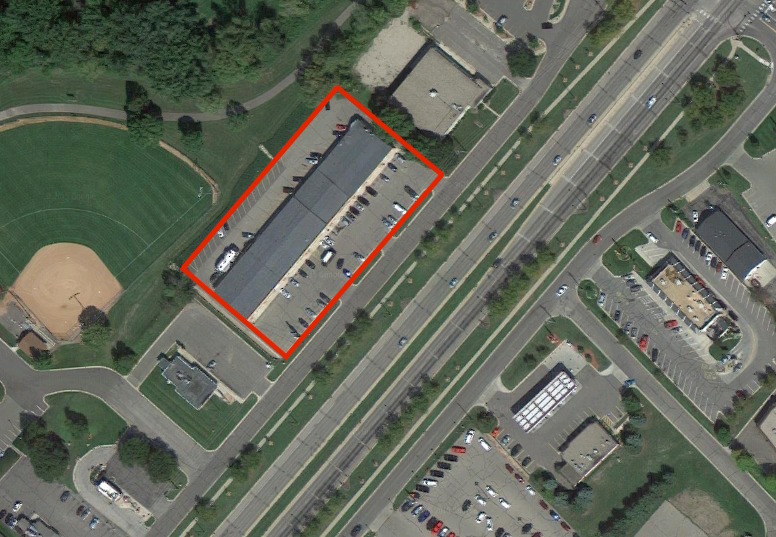 Does building this link help increase the usefulness of those facilities? What other future improvements will further integrate this link into the network? Compared to other projects of similar scope/complexity, are the bids reasonable? This is another way of asking whether the grant application underestimated the cost and/or complexity of the project (and that we can believe the bid numbers are the “right” ones). 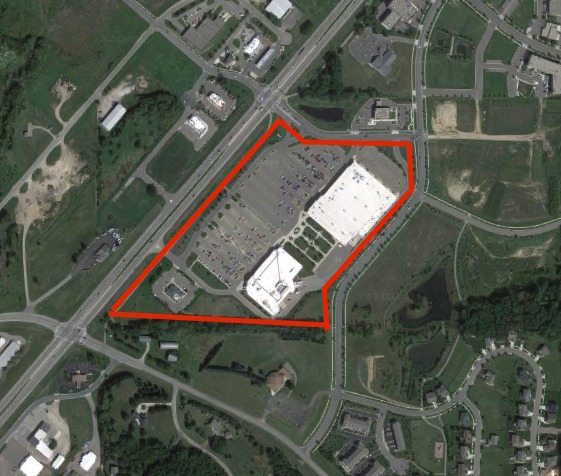 Downstream effects: This project will provide jobs, help increase value in the neighborhoods most directly served, perhaps stimulate development at the stalled Crossings development as well as providing Northwest Northfield residents with additional access to jobs and services. What are these worth? Yes, the project costs a lot of money and more money than anticipated. But determining whether it is “too much” should depend on a thoughtful discussion of how the trail serves the long-term transportation goals, what contribution this project makes to future projects, and how we want to build accessibility and equity into the system. I would like to hear the Council discuss and reach a shared understanding (if not agreement) about the policy perspective adopted by the City which seeks to address transportation beyond cars and maintain and improve the transportation system in ways which serve the entire community. It’s a big subject which could encompass everything from walking to air quality to storm water to freight to land use to economic development…but the conversation should start and providing for non-automobile connections is one place to do it. If a majority of the Council believes the current adopted policy positions are misguided, then change the guiding policy with community participation. Don’t get to the point of decision on projects and try to dismantle the policy one vote at a time.